Browsing articles in "Security Advisory"
Sep.24, 2008?! 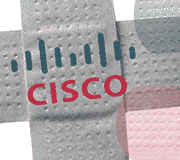 12 new Cisco vulnerability advisories! On September 24, 2008, at about 16:00 GMT, the The Cisco Product Security Incident Response Team (PSIRT) has published 12 new vulnerability advisories. Mainly these vulnerabilities are DOS attack. A new Cisco ACS vulnerability is found by Gabriel Campana and Laurent Butti. Cisco Secure ACS does not correctly parse the length of EAP-Response packets which allows remote attackers to cause a denial of service and possibly execute arbitrary code. The affected products are all versions of Cisco Secure ACS that support EAP. Some vulnerabilities have been reported in Cisco ASA and PIX appliances, which can be exploited by malicious people to disclose sensitive information, and by malicious users and malicious people to cause a DoS (Denial of Service). From the Cisco Security Advisory : A buffer overflow vulnerability exists in an ActiveX control used by the WebEx Meeting Manager. Exploitation of this vulnerability could allow a remote attacker to execute arbitrary code on the user client machine. The WebEx Meeting Manager is a client-side program that is provided by the Cisco WebEx meeting service. The Cisco WebEx meeting service automatically downloads, installs, and configures Meeting Manager the first time a user begins or joins a meeting.